examination system, and in the interest of the candidates, the Commission has uploaded the Final Answer keys along with Question Paper(s) on the website of the Commission on 22nd November, 2017.The candidates may take a print out of their respective Question Paper(s) along with the Final Answer Keys. This facility will be available for the candidates upto 5.00 P.M. of 22.12.2017. 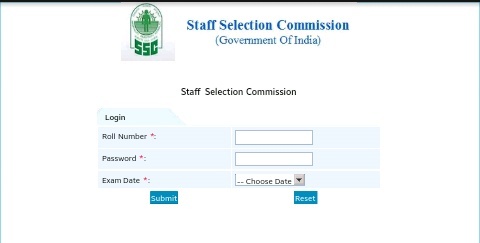 How to Check Tentative SSC CGL Answer Key ? 2. Enter your Roll no, Password & Exam Date.